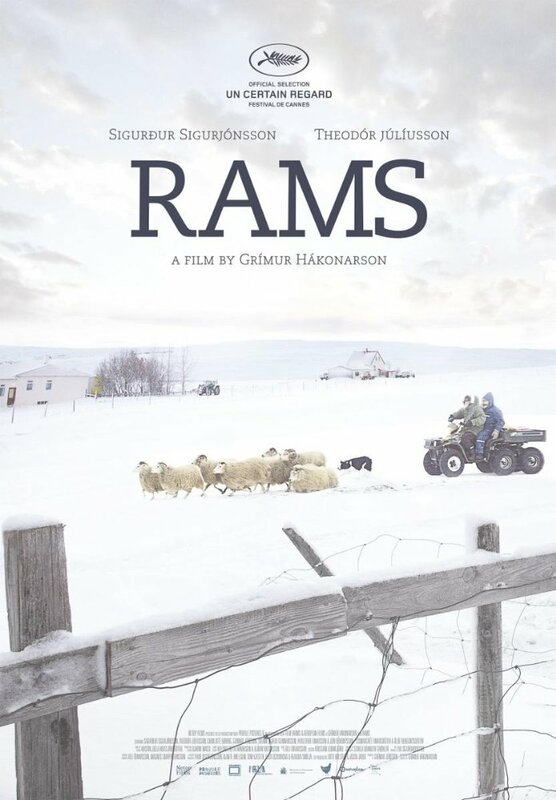 In a remote Icelandic farming valley, a hard-drinking Icelandic farmer (Theodór Júlíusson) and his estranged brother (Sigurður Sigurjónsson) who haven't spoken in 40 years band together to save their flocks of sheep from authorities who want the animals destroyed. 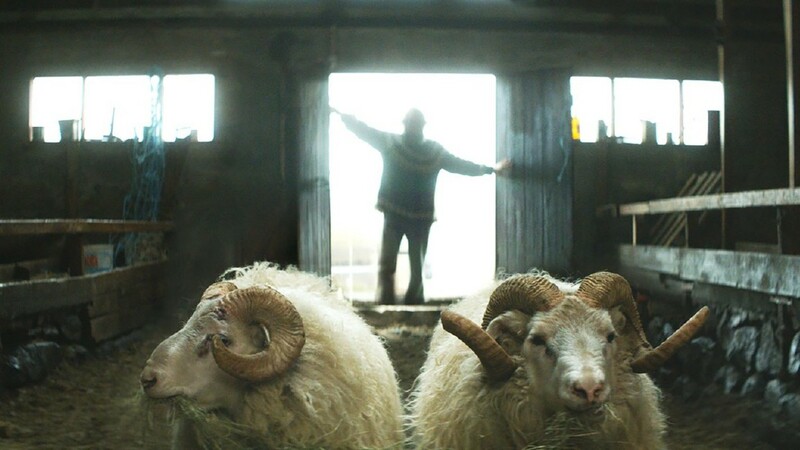 In its attentive and hushed way, the movie is about collision: between stubborn farmers and the government veterinary board, between ancient ways and modern times, between two old, hardheaded brothers. 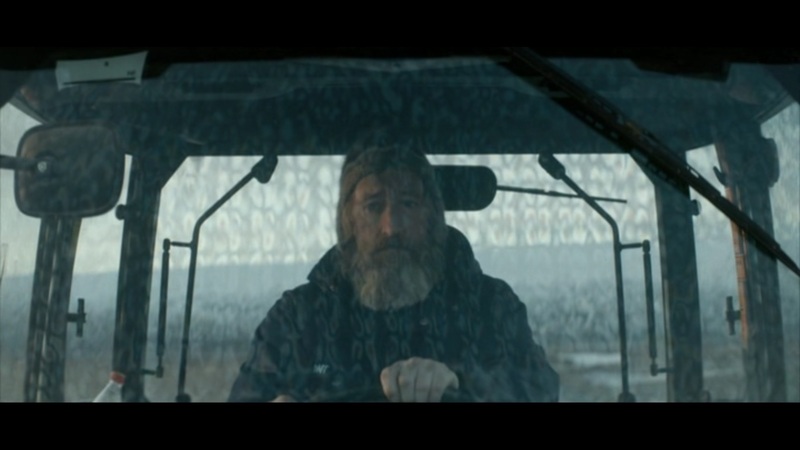 Sigurjónsson's Gummi, with his quiet canniness and his fearful, conflicted feelings about his belligerent brother, is the best reason to watch "Rams." 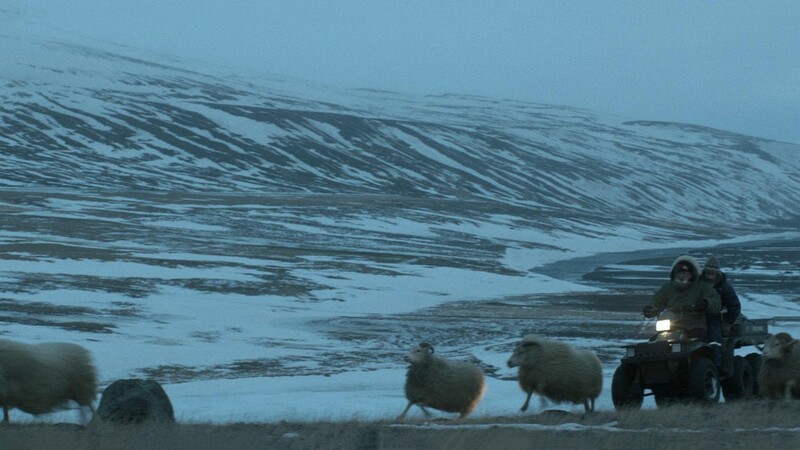 There's lots of wisdom here, but in the Icelandic barrens, good cheer has sometimes gone missing. Yes, there's a price to pay for being stubborn. 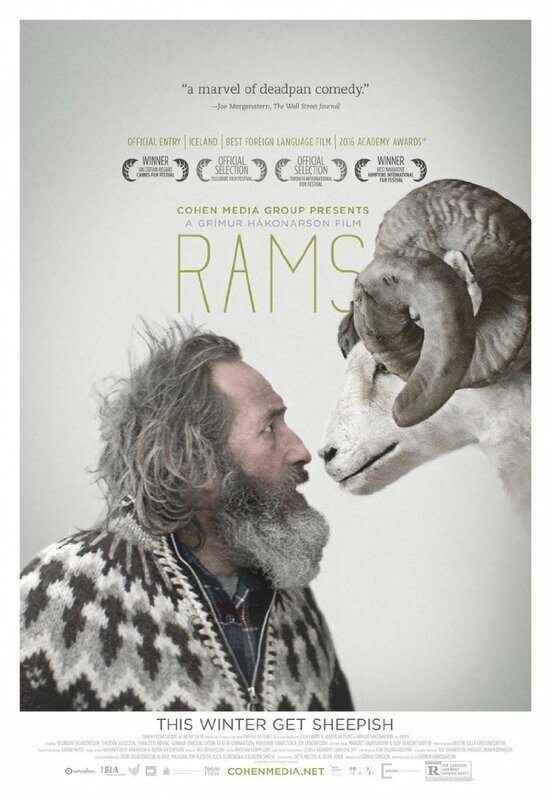 A lovely film that will stay with you. If you are determined to enjoy it, Hakonarson will throw every challenge in your path. 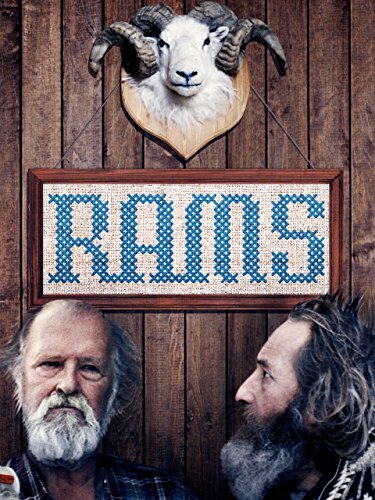 Rams isn't the film that is going to definitively put Iceland on the world cinema map, but it is the boldest invitation yet about the distinctive tone of their cinema. 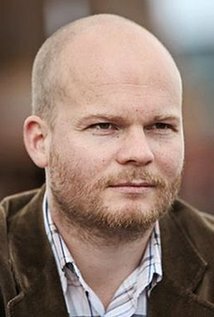 Hákonarson doesn't lessen the harshness of the characters or the landscape, but still manages to find beauty in the way they are. After grim comedy comes the threat of grim tragedy. 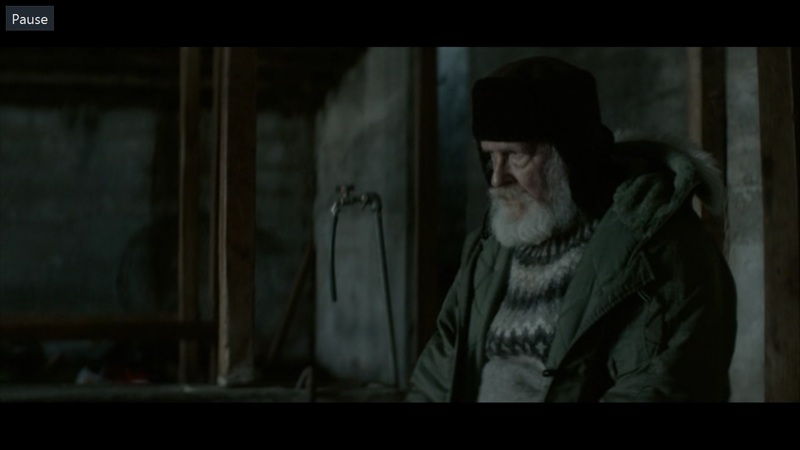 The ending is a do-or-die confrontation with the elements, powerfully presented. It never becomes deep, but its tender view of its richly drawn characters makes it beguiling to the end. It's a delight to encounter a film that quietly, gradually creeps up on you; which, without seeming to expand a huge amount of effort in so doing, puts a smile on your face. 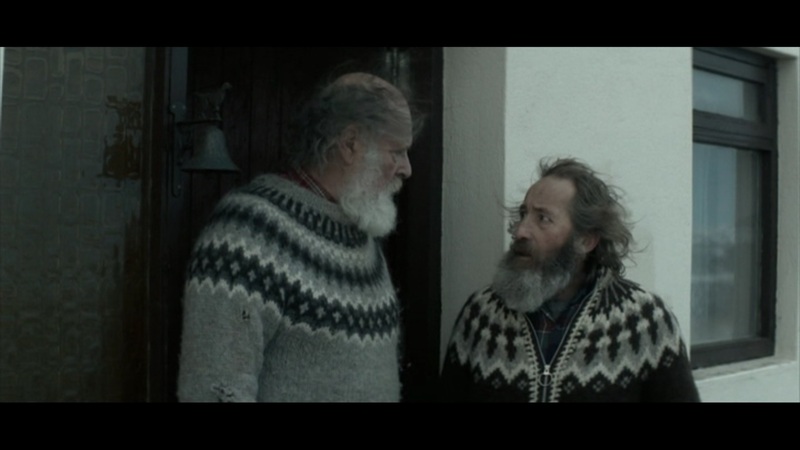 Gummi and Kiddi's interactions tend toward the comical, but the rock-steady widescreen cinematography by Sturla Brandth Grøvlen lends the proceedings a deadpan aura.